There is no Event planned right now, the Usergroup usually meets every last Thursday of the month and still looking for a location. 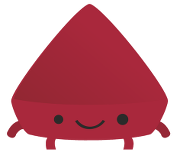 The next Ruby / Rails Meeting is supposed to be on May 30, 2019 19:30. The Madrid.rb is a usergroup, group of interest or just a bunch of people loving Ruby. Get in contact with us at our next meetup! Newbees are always welcome.